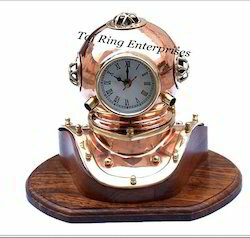 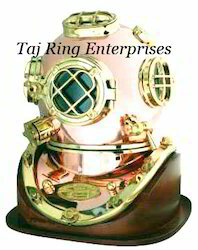 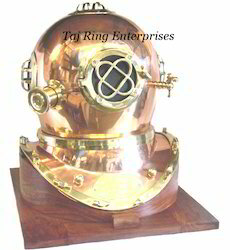 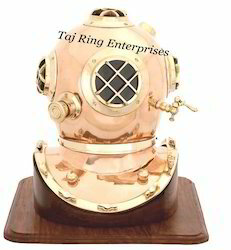 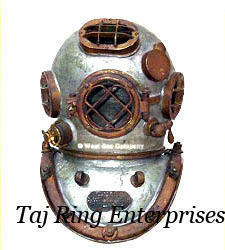 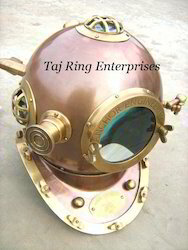 Leading Manufacturer of diving helmet with base, marine diving helmet, diving helmet with clock, anchor engineering divers helmet, diving divers helmet and antique divers diving helmet from Roorkee. 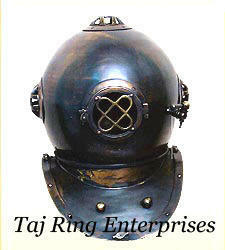 for use with scuba equipment. 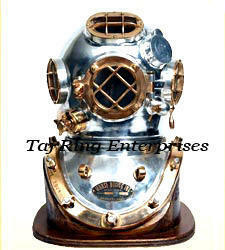 Divers Diving Helmet are won mainly by professional diving helmet in surface supplied diving, though many models for use with SCUBA Equipment can be adapted Awesome Style Divers Diving Helmet Its Come With Lot Of Desghin For You Requirtment Divers Helmet ...Beautiful Diving Helmet With Awesome hand made replica Divers Helmet With Awesome Style With Wooden Base ..